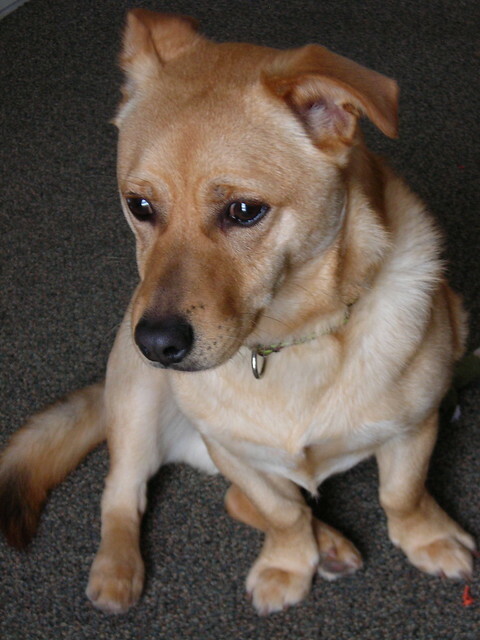 This month holds a special day for pups- namely the mutt breed of our faithful companions. National Mutt Day isn’t there just to offer appreciation for the mutts in our lives; it’s there to bring our attention to giving a mutt a home through adoption. Mutts are often overlooked and underestimated amongst the puppy population. But mutts prove their worth every day in the homes of families that gave a mutt a chance. They have all the love and loyalty of a dog, along with a few bonuses of their own that make for a unique companion. A special benefit of a mixed breed is that mutts offer a more unique combination of abilities. While purebreds are primarily raised with a single purpose in mind, mutts have inherited traits and characteristics from a variety of breeds. These mixtures actually present their own little adventure. You may end up with the lovability of a golden retriever and the instincts of a border collie. Whatever mixture presents itself, it allows for a pup to have their own individual characteristics to offer your home. Another bonus is that because of trait mixtures, mutts are commonly more flexible and easily adaptable to a variety of home situations. You may want a mid-sized pup, but your apartment makes it difficult to house an active rascal such as an Australian Sheppard. A mutt would likely be more docile in their environment, allowing for a good pup that feels at home in your home. Since mutts carry traits from multiple pup breeds, it gives them a wide range of abilities, too. Don’t be dissuaded by the term “mutt,” as even mutts are allowed to compete in some dog competitions or can be qualified to work as a service dog. Mutts have definitely gained a lot of respect in recent years for their abilities and characteristics. One of the big bonuses to adopting a mutt is the fact that they are usually already housetrained. Most pups that make it to a shelter were given up because of expenses, no room, or couldn’t take care of them anymore. That usually leaves a potentially well-trained mutt in a cage who is just waiting for you to give them a home. Since shelters provide their inhabitants with medical supervision, they also have their shots up to date and their health is taken care of. If you’re looking for a pup, but want skip the puppy stage, adopting a mutt is a definite plus. A mutt from the shelter is cheaper to start up, usually only about 50 to 100 dollars with shots included. That’s a big difference from a purebred pup that may cost upwards of around four to five hundred dollars. If you’re looking for a pup, I’m sure that a mutt is looking to make your home a happy one. The funny thing about mutts is their naturally potential health benefits. Purebreds are more likely to get specific genetic ailments, such as Cryptorchidism, which are passed on when pups are bred with their own breed. Mutts are less likely to contract a genetic disease that passes along in a purebred situation, often allowing them to live longer lives with you. Not every pup can find a home. Shelters become overwhelmed and unable to take care of every single pup. By adopting a mutt, you inevitably save one pup, and make room for another so that someone can take them home as well. As more people adopt mutts for their happy home, they give a happy mutt a chance to fill their lives with a variety of loveable characteristics.